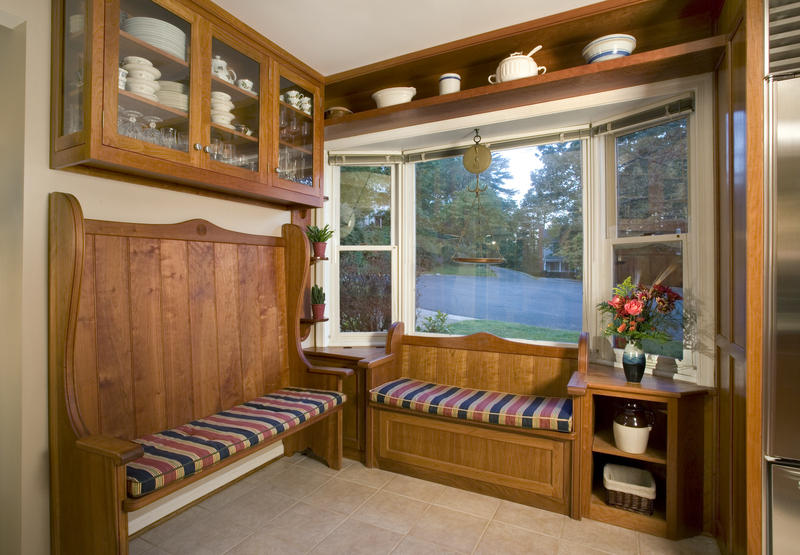 Making the most of a confined space, a narrow galley kitchen became more open and efficient. 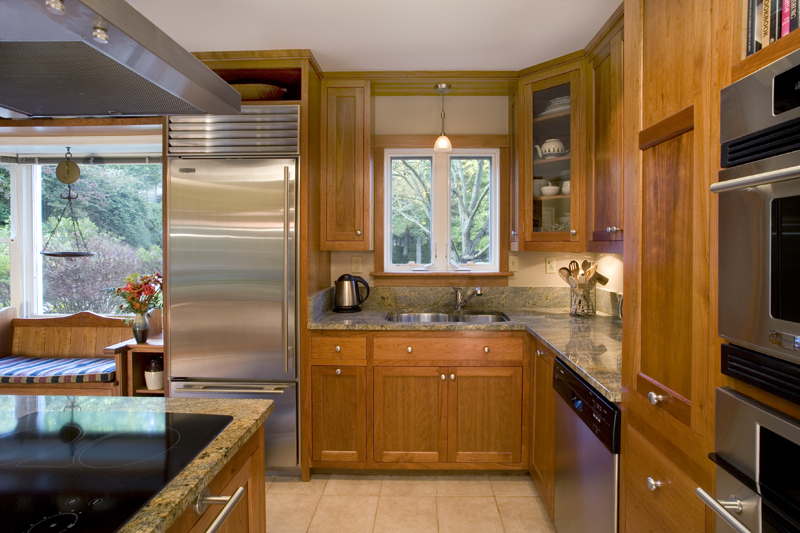 The cherry cabinets have inset (flush) fronts. 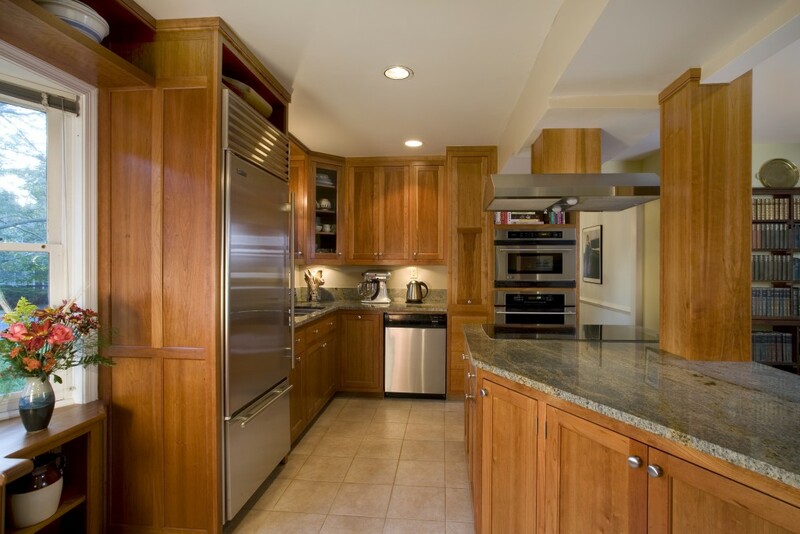 The fridge, sink, cooktop and ovens are all close to each other. 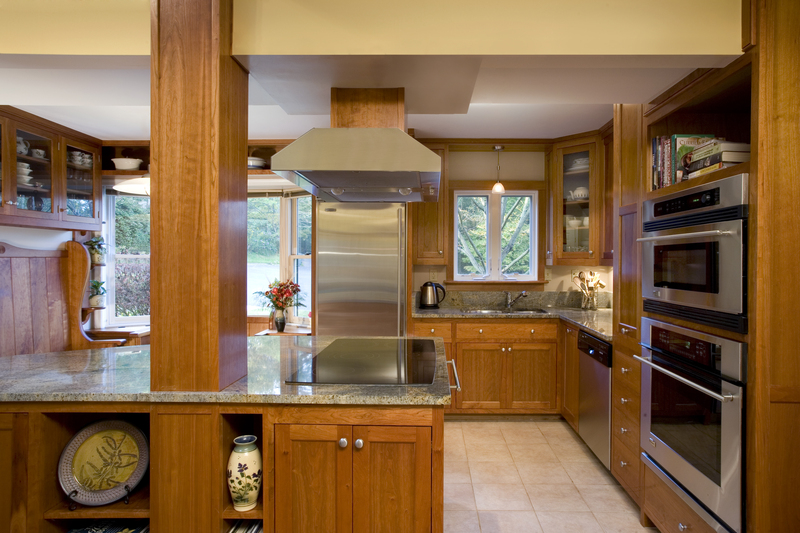 The angled island with incorporated structural post was a compromise to maximize floor and counter space.